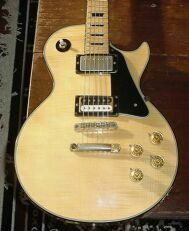 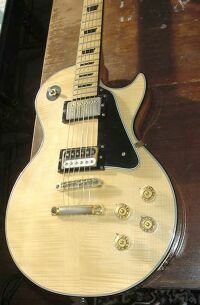 Bolt neck LP copy with Flamed Maple top and gold or silver hardware. 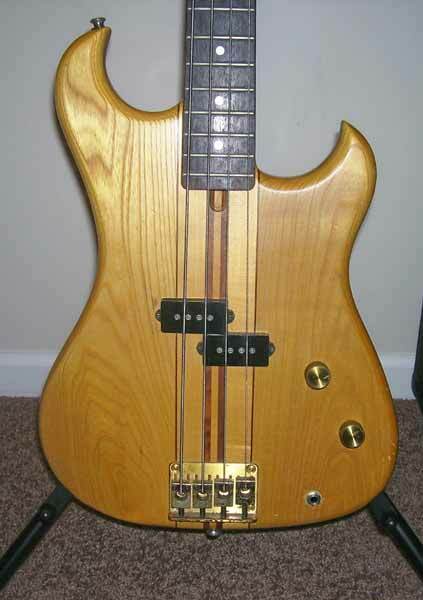 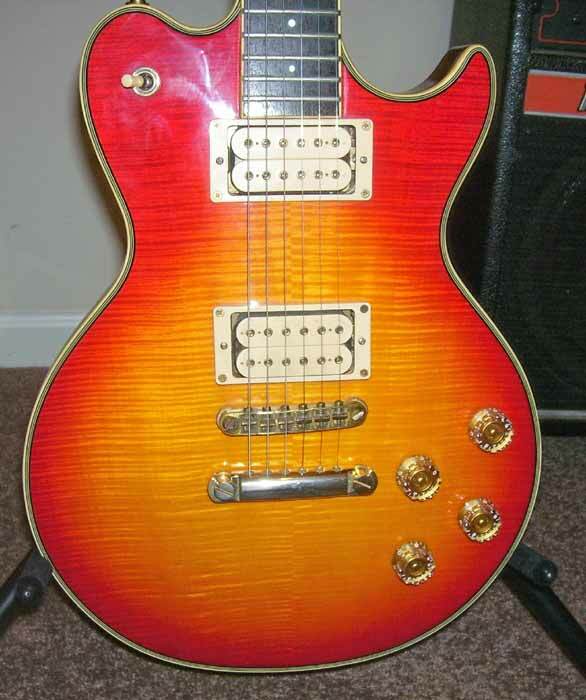 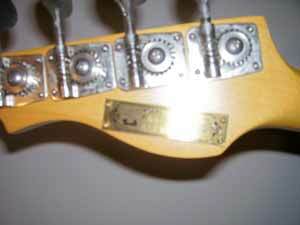 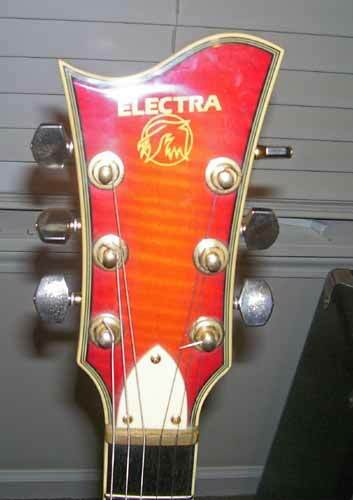 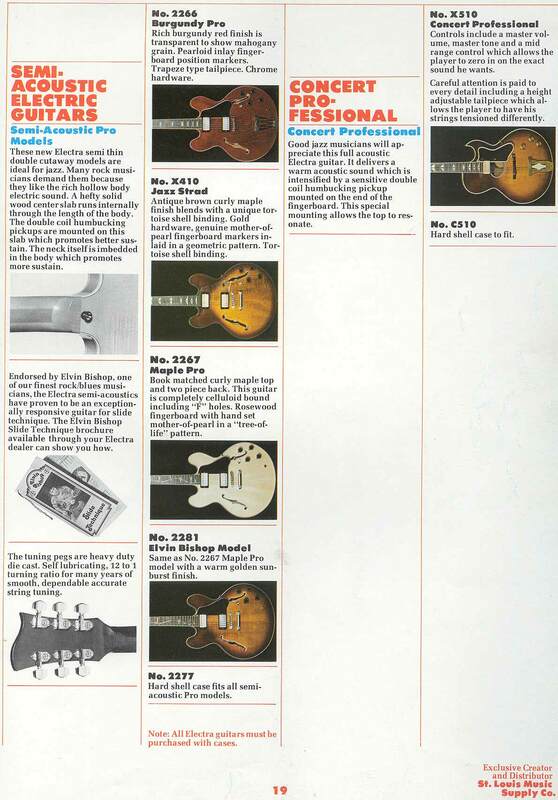 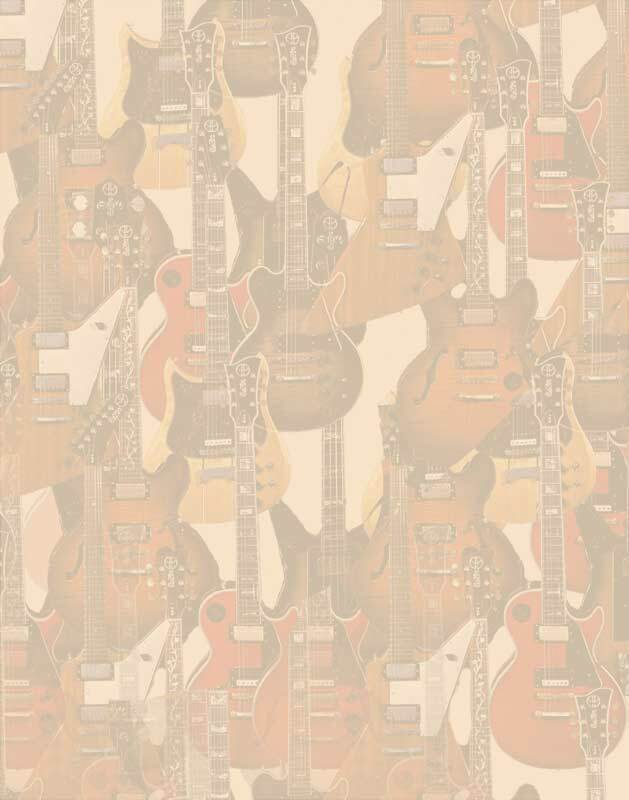 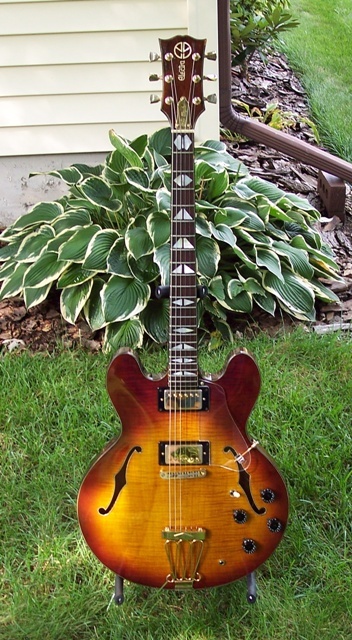 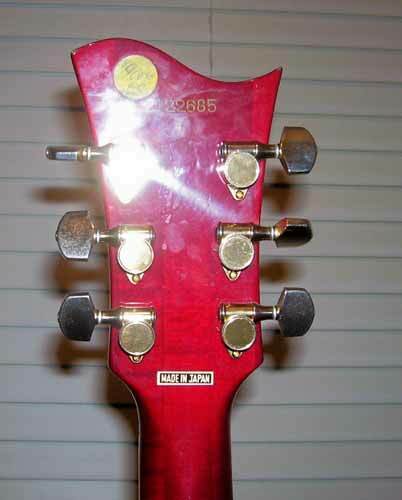 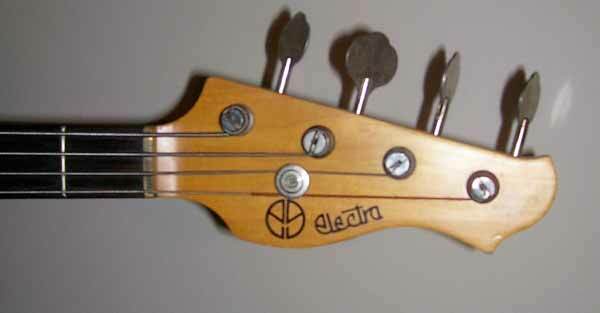 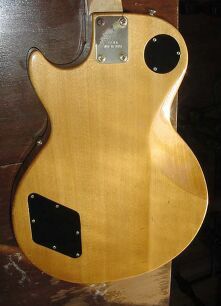 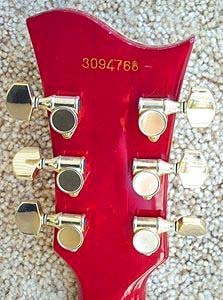 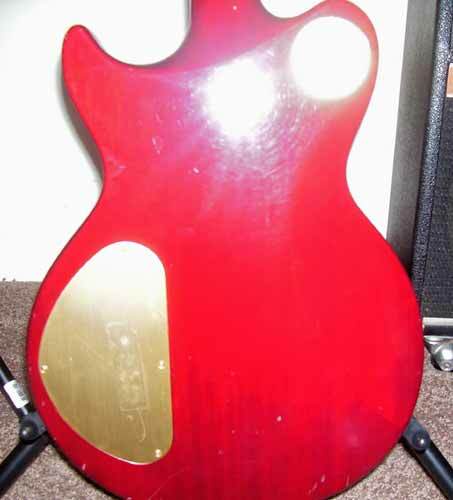 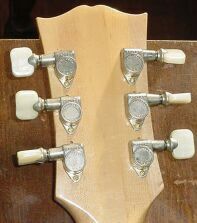 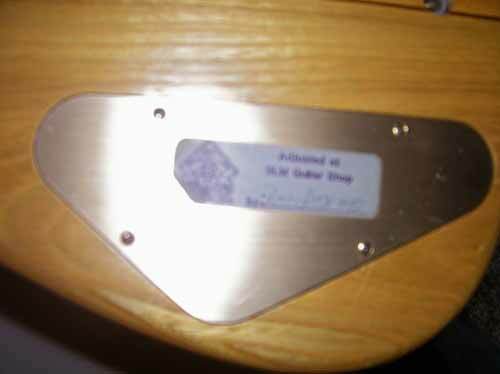 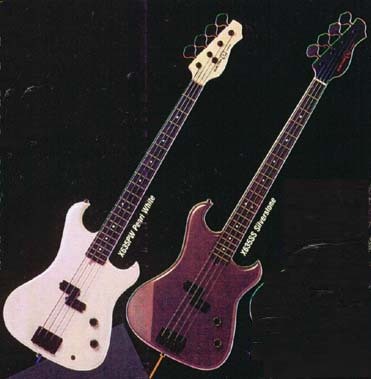 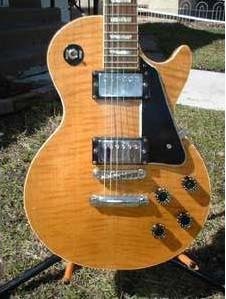 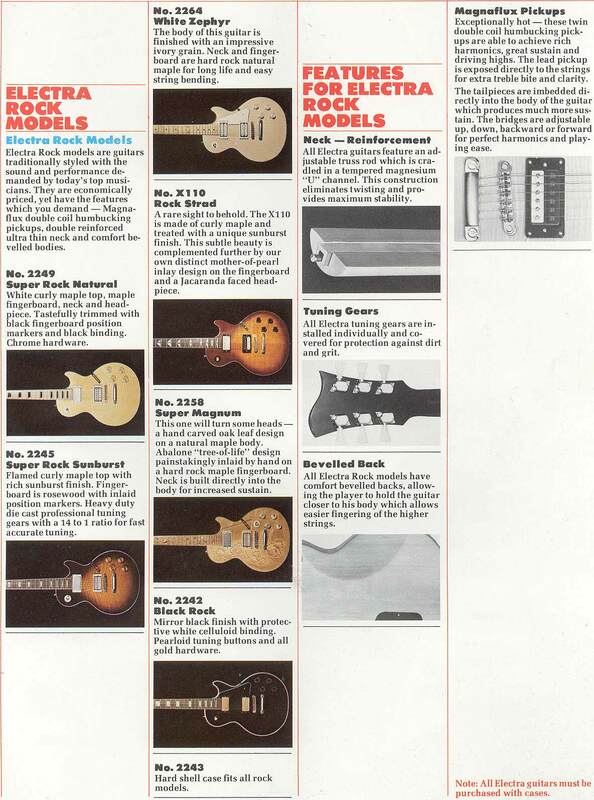 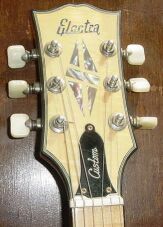 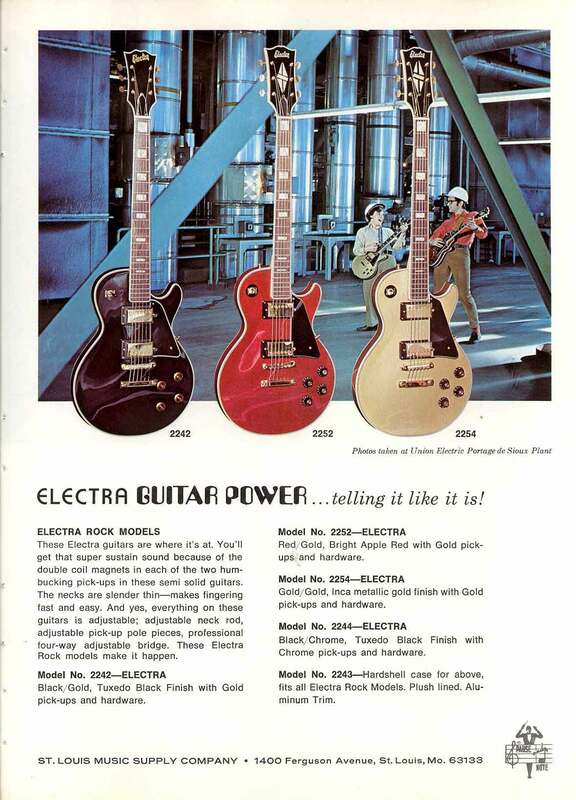 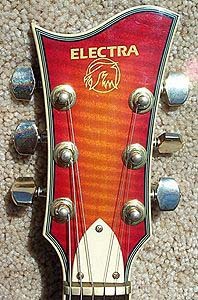 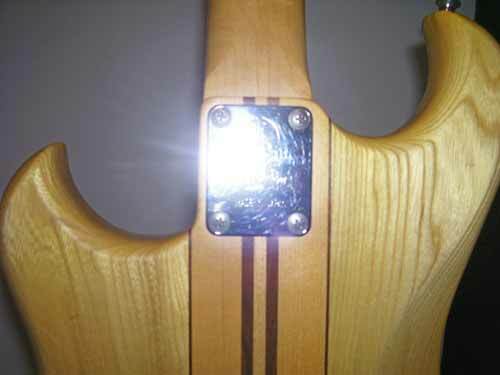 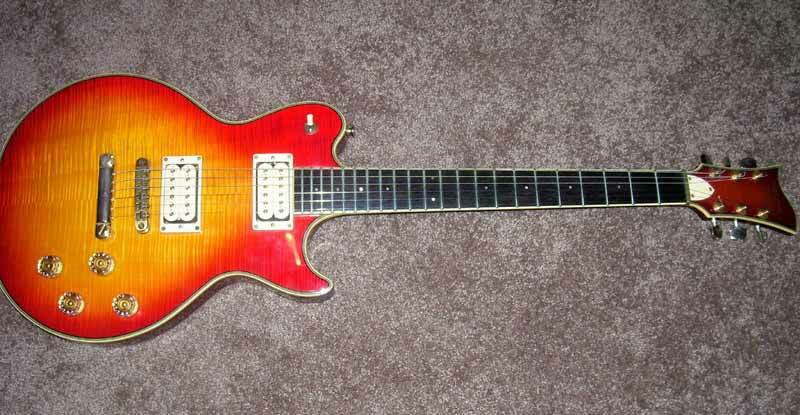 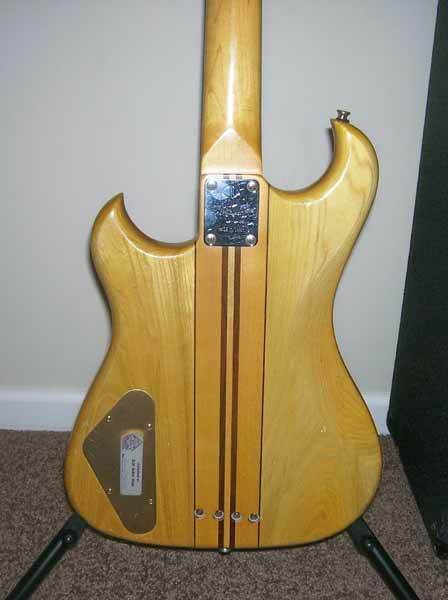 Early versions had an open-book style headstock, italic logo, and a maple fingerboard; while the later versions had a divided style headstock and the peace-sign style logo and name along with a rosewood fingerboard. 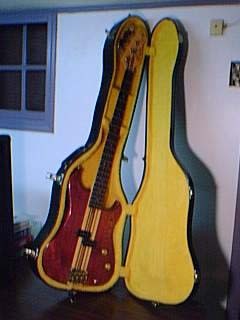 The later model seems to be Matsumoku, but the earlier model is uncertain in origin- most likely made by Matsumoku or Fuji gen Gakke.